The significance of Detrixhe’s Red Dirt Rug goes beyond the piece’s original location. The artist illuminates questions that can be asked about the histories and geographies of land in the United States at large. When reflecting on the meaning of the artwork, Detrixhe explains, “I’m not sure that a single work of art can adequately represent the multitude of complicated histories,” she said. “But if any material can hold all of those things in it, it would be soil, earth.” Iterations of Red Dirt Rug have been previously displayed in a number of states throughout the Midwest, in Virginia and now in Boston. This installation is a unique artwork that will only be displayed for the duration of the exhibition, holding the harsh and powerful reality that it will inevitably be swept away. Detrixhe works the entirety of the four-day installation, with visitors welcomed to step into the gallery and view the slow, deliberate mark making through careful gestures. The artwork provides a distinct opportunity to allow for a more nuanced space of consideration between the person and the landscape, reminding us of the preciousness of the earth just below our feet. By bringing the dirt inside, the earth attempts to reclaim and reinforce its presence and importance. While the implications of the artwork are environmental, Detrixhe allows the audience to come to their own conclusions in regard to meaning and impact. 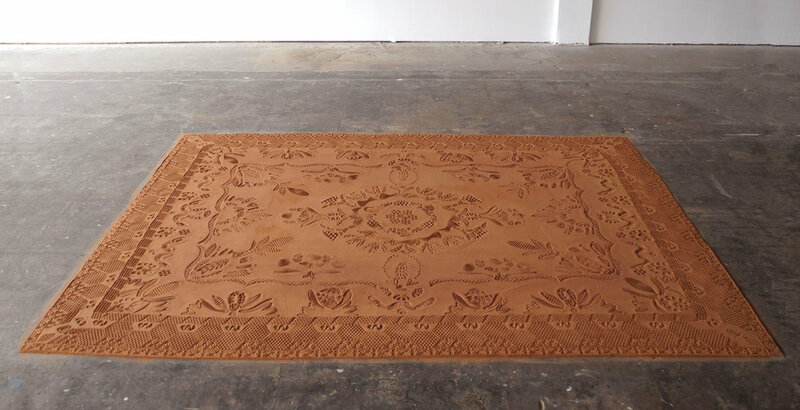 Red Dirt Rug encourages the viewer to consider the question: moving forward, is there an alternative to how we, as a culture, relate to our land and the histories it holds? Detrixhe received her BFA from the University of Kansas in 2013. She has exhibited in museums and galleries across the United States and is the recipient of numerous awards including a scholarship to attend the prestigious art school at Hongik University in Seoul, South Korea and a two-year studio residency with Charlotte Street Foundation in Kansas City, Missouri. Recent exhibitions include Ephemera at the Nerman Museum of Contemporary Art in Overland Park, KS, and a solo exhibition at the Philbrook Museum in Tulsa, Oklahoma. 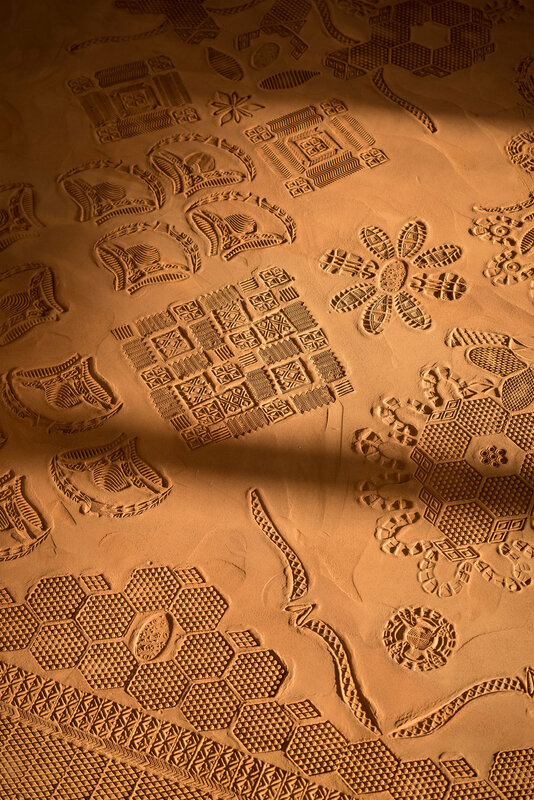 In 2017 she received both the public vote and juried vote awards in the time-based category for her work Red Dirt Rug at ArtPrize Nine in Grand Rapids, Michigan. Detrixhe has spent the past two years as a Tulsa Artist Fellow in Tulsa, Oklahoma. Originally from Kansas, the artist now lives and works in Tulsa, Oklahoma.